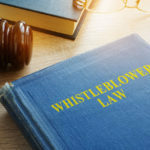 In recognition that whistleblowers often risk their careers and livelihoods by coming forward, the qui tam laws provide significant monetary rewards to relators in successful cases. Under the federal False Claims Act, when the government intervenes in the case, the relator is entitled to between 15% and 25% of the proceeds. When the government declines to intervene, and the relator and relator’s attorneys successfully handle the case themselves, the reward range is between 25% and 30% of the proceeds. Under the California False Claims Act, in intervened cases, the relator’s share range is between 15% and 33%. In declined cases, the range is between 25% and 50%. Under the California Insurance Fraud Protections Act, the range for intervened cases is 30% to 40%. In declined cases, the range is 40% to 50%. Within those ranges, the specific percentage that the relator receives is usually determined through negotiations between the relator’s attorney and the government attorneys. If agreement cannot be reached through negotiation, the relator can submit a request for the judge in the case to decide the appropriate percentage. Many factors can be taken into account when determining the relator’s share percentage. Generally speaking, the greater the contribution of the relator to the case, and the more sacrifices the relator has made to bring the case, the greater the share will be. Additionally, the longer the case has gone on, and the harder the fight, the higher the percentage. Cases that go all the way to trial, or close to trial, usually result in higher relator’s shares. In Part 6, we will discuss some of the risks that potential whistleblowers should consider before initiating a qui tam lawsuit. These areas of law are, of course, highly complicated, and this series is not designed to provide legal advice of any kind. If you have questions about your rights, obligations, or potential legal claims, you should contact an attorney, and do so as promptly as possible, as there may be statutes of limitation or other deadlines that could impact your ability to bring a claim.